How are you today? 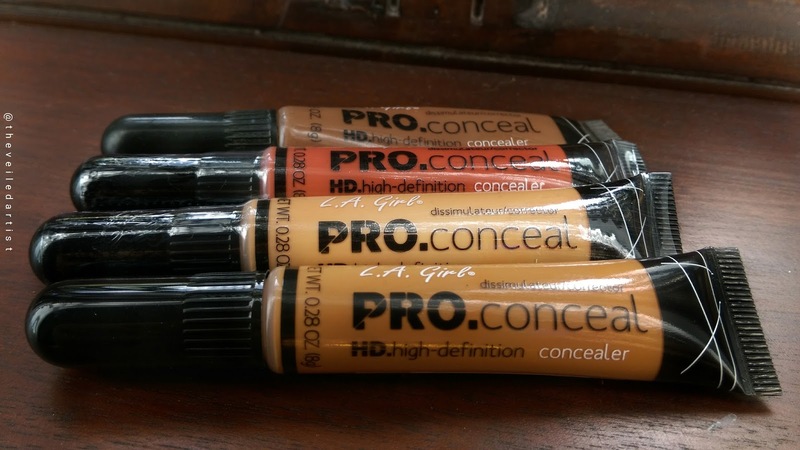 I am finally reviewing these much hyped, $5 hd pro concealers by LA Girl. 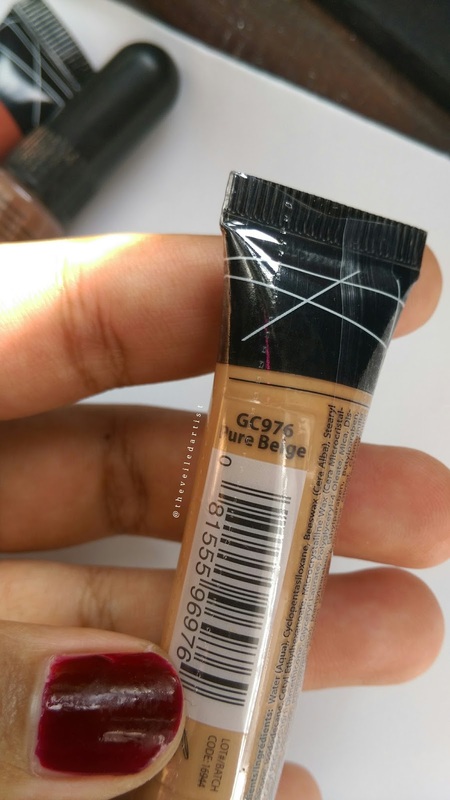 I have been using the shades Pure Beige and Beautiful Bronze for almost two years now but I recently purchased a back up of pure beige but also two new shades. Fawn and the Orange corrector. So I decided it's high time I review them. 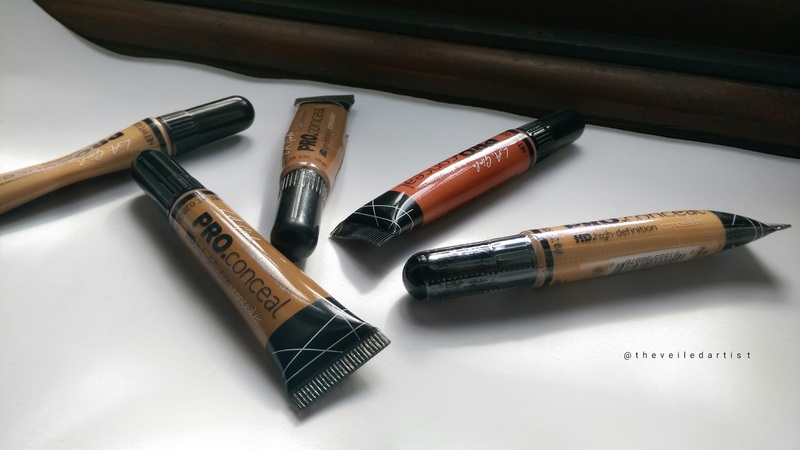 You pay $5 for 8g of concealer which is great value considering how pigmented these are! 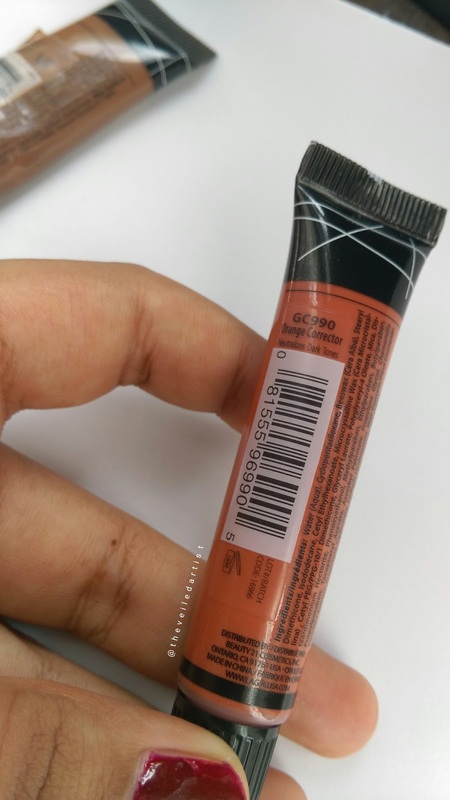 The product comes in a plastic squeeze tube with a brush applicator. 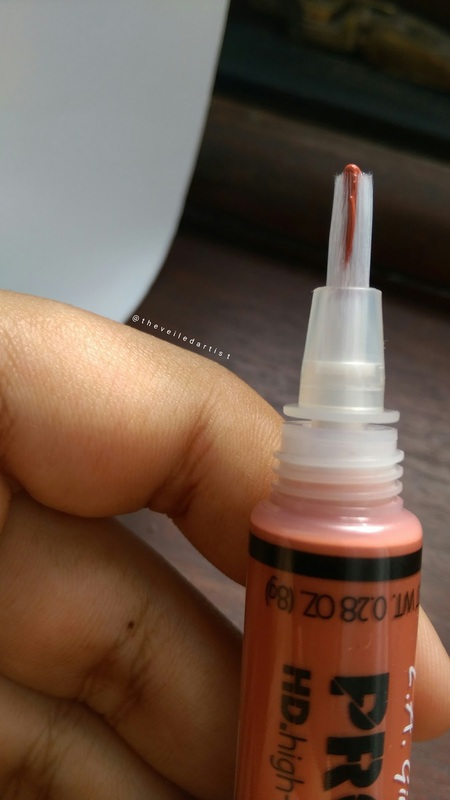 The cap screws on nice and secure which makes this very travel friendly and also, the brush applicator makes it very easy to touch up throughout the day, giving you a precise application. 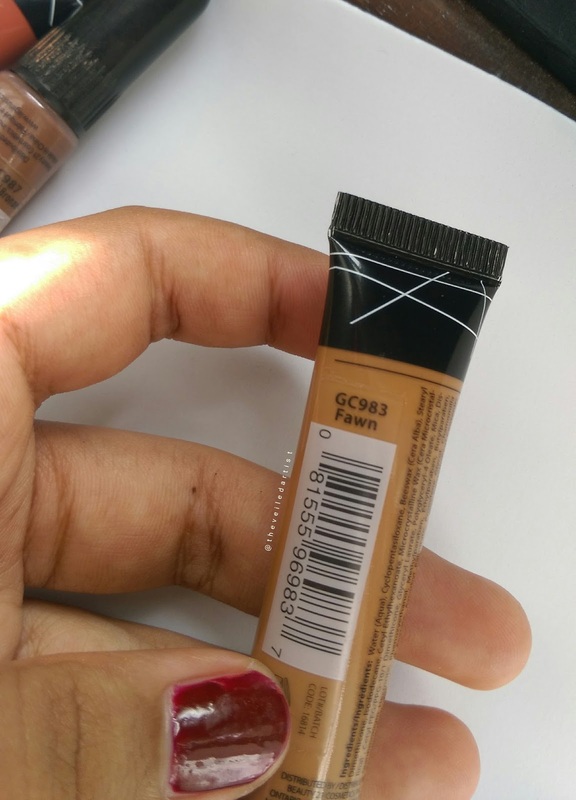 I also love that you can see the actual shade of the concealer on the packaging which makes it easy to grab quickly if you own more than one shade. 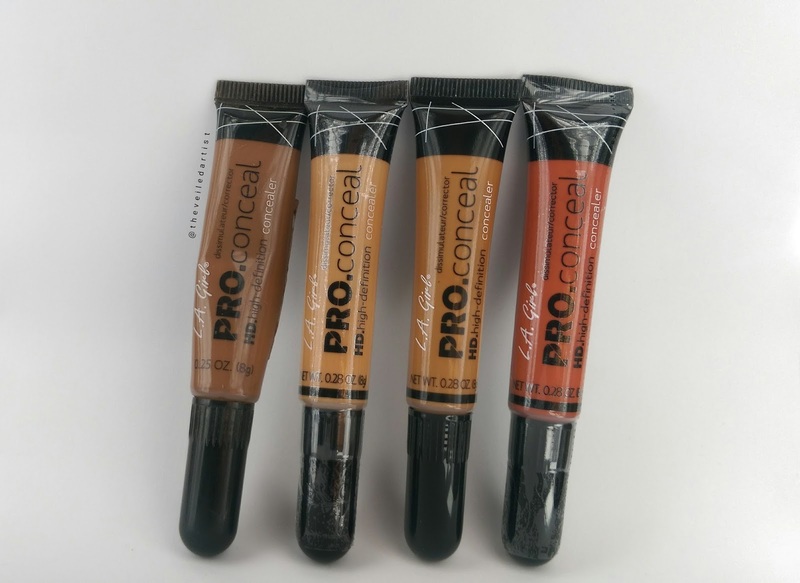 The LA Girl Pro Concealers are super affordable, give great coverage, do not cake up, blend beautifully and have very practical, zero fuss packaging. They come in 28 shades! 21 concealers, 6 correctors and one white highlight shade. 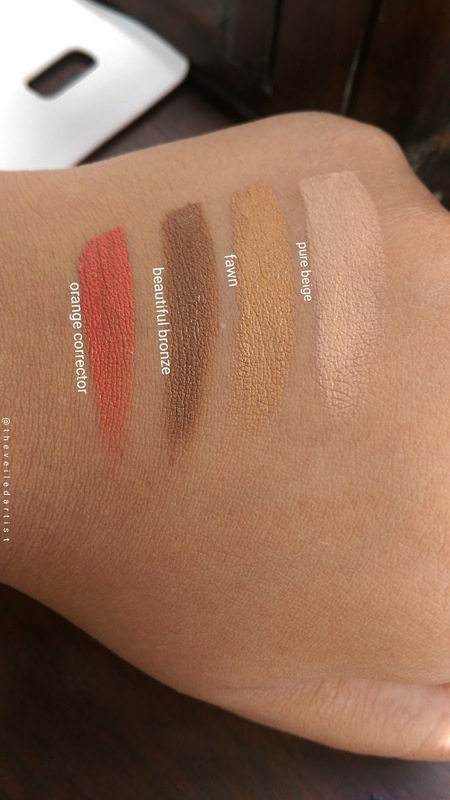 The colors of the shade swatches you see below are exactly what they look like in person. I absolutely love highlighting with the shade pure beige and contouring with beautiful bronze. I do find that they can set quite fast though. So while contouring, I have to work on one side at a time because I've noticed that by the time I've dotted the product everywhere I need it and start to blend, it refuses to blend seamlessly and clings onto the skin, even if blended with a damp sponge. Also, I find that it's not the best concealer for dry skin. When my under eyes are feeling dry, this concealer can sometimes accentuate that. 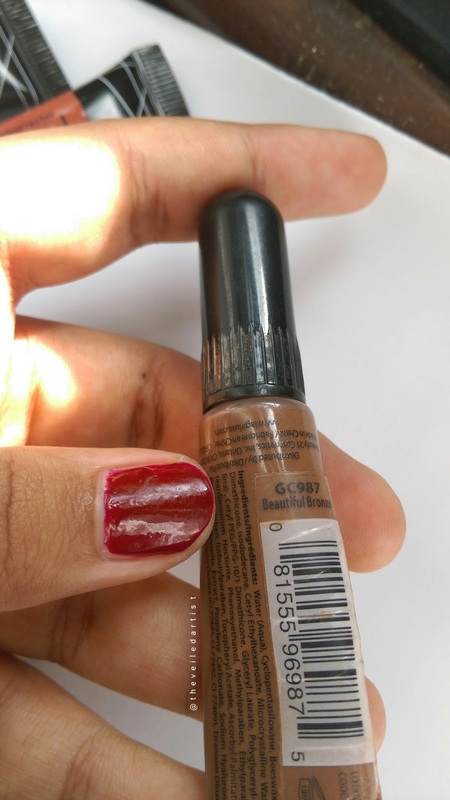 I also don't love using this to cover dark spots or blemishes because while it generally has great coverage, it does not cover them effectively and cling to blemishes and dry patches weirdly. Even the orange corrector that I purchased specifically to help with spot concealing does this. But over a larger surface area, such as the under eyes, it works beautifully. They definitely need to be set with powder but once you've set it, it lasts very well throughout the day and do not seem to fade whatsoever. I would definitely suggest you give this a shot guys! I'm not certain you will love this if you have dry skin but you can still try it out. 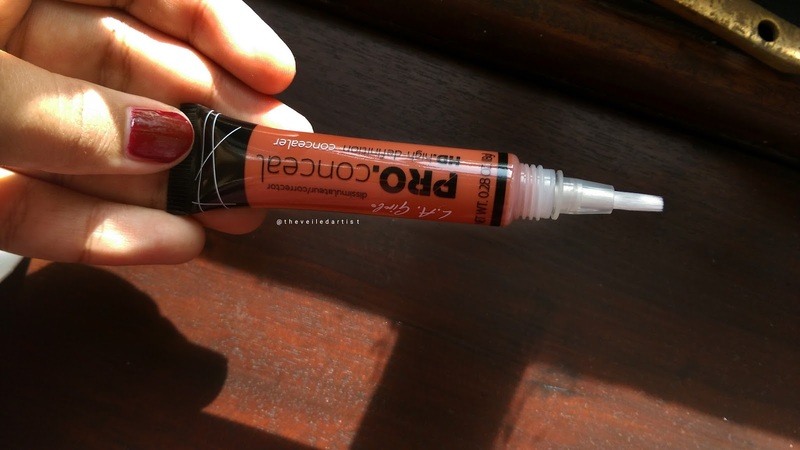 It's a super affordable, great quality concealer to highlight and contour with! Thank you so much for reading my loves! You can check my last post here. It was a step by step tutorial on gorgeous Mermaid inspired deep teal and gold smokey eyes!